Any meal with the name pizza in it is sure to be a kid pleaser. Although this meal is not pizza, it contains many of the same ingredients that pizza does and my kids love it as much as they do my taco pasta. Stir together pasta with remaining ingredients. Place in a 9×13 pan and bake art 375 for 25-30 minutes or until heated through. @Dana, Whenever I make up something with leftovers that turns out great, my husband says “I hope you remember how you made that!” Then he says “I’ll probably never see that one again.” Gotta remember to write it down ASAP! This looks delicious! You can’t go wrong with pasta in a meal either! This would be great to take to a potluck. I do a similar version of this using spaghetti sauce instead of pizza sauce. My family has dubbed it ‘Noodle Thing”. And by the way – I love the tip for degreasing pepperoni. I’m with you I can’t give up my paper towels – How would I degrease anything without them? That sounds simple and yummy for fall time. Thank for sharing it! This looks really delicious, and I love how you degrease the pepperoni! This looks great, and you are right, Pizza in the same means good. I am so making this for dinner – regular pizza was on the menu but this sounds so much cozier! I made this last night with some leftover pizza night pepperoni and mozzerella… Thanks for such an easy way to use up stuff in my fridge in a new way- Loved it! I made the switch to turkey pepperoni several years ago and tried your degreasing trick on it to see if it still had a little grease- nothing! It was damp from steam but not grease stained. So I think I’ll save the 45 seconds and papertowels and not worry about it next time! Thanks for another great recipe! 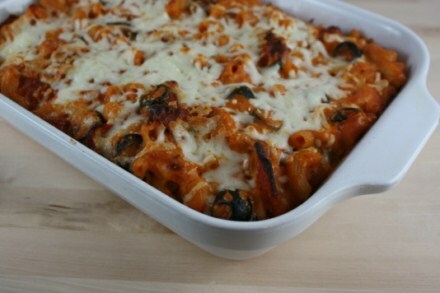 My family loved the pizza pasta and I got the ingredients on sale so it was very inexpensive to make! @Kate, Thank you for letting me know. I am so glad that your family enjoyed it.